"The folks here were very friendly and helpful." Have a question for Sen Boutique Hotel? "Room are big, clean and comfort." "Sen boutique hotel provide to us beautiful cake." "Very near the beach, breakfast is fine , staffs are so frien..."
Ideal for fun and relaxation, Sen Boutique Hotel is located in the Phuoc My area of Da Nang. The property is just away from the city center, and it normally takes about minutes to reach the airport. With its convenient location, the property offers easy access to the city's must-see destinations. 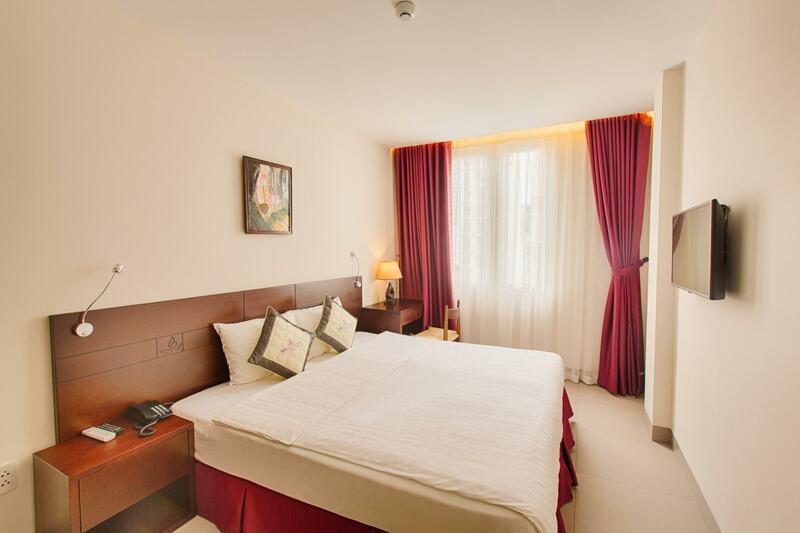 The facilities and services provided by Sen Boutique Hotel ensure a pleasant stay for guests. To name a few of the property's facilities, there are free Wi-Fi in all rooms, 24-hour security, daily housekeeping, kitchen, 24-hour front desk. Step into one of 24 inviting rooms and escape the stresses of the day, A selection of amenities can be found in most rooms, inlcuding flat screen television, clothes rack, free welcome drink, linens, mirror. The property offers wonderful recreational facilities such as sauna, garden to make your stay truly unforgettable. 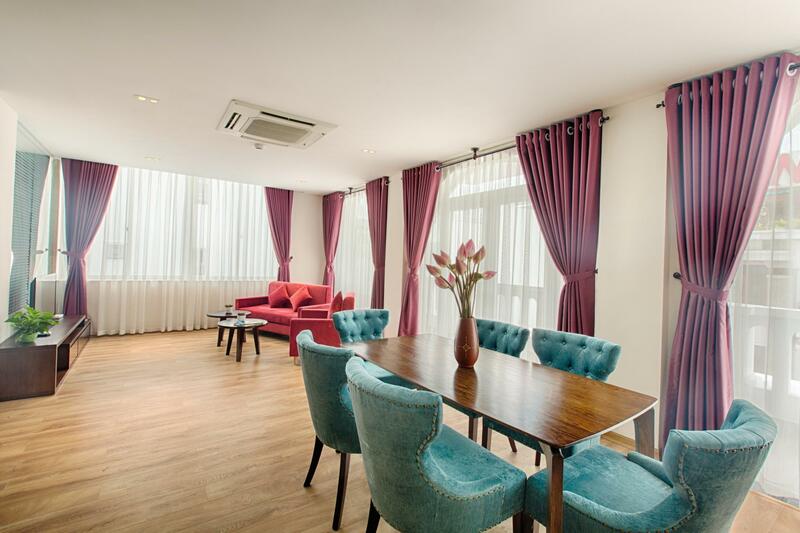 Enjoy a great location and services to match at Sen Boutique Hotel. "Staffs are friendly and helpful." Stayed for two months without any problems..very nice people and good room. Stayed 2 nights at this Hotel, Staff are very friendly although they English are not fluent but they will try to understand and fulfill your request. Room are big, clean and comfort. Hotel located inside the alley and very quiet at night. Very enjoy stay here. Just ok breakfast, maybe if we got up earlier it was better. We had booked another property through agoda, but as it turned out it was unavailable. Instead we were offered Sen boutique hotel. 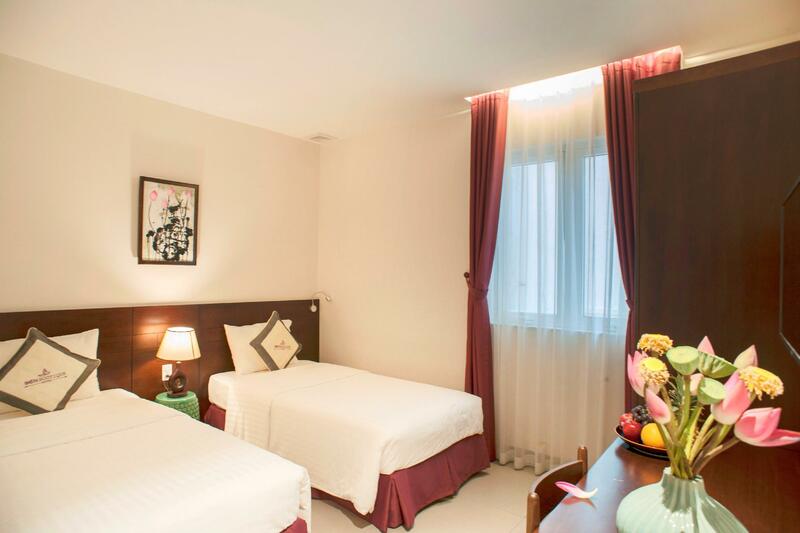 We loved the size and high quality of the apartment and agreed that we had found the most comfortable bed in Vietnam. It was quiet yet close to the beach and restaurants. The staff and service was excellent. Highly recommended! the hotel is located in a small road, very quiet and peaceful. 5-10mins walking from the beach. my room is 50m2 and everything is on point, clean, new and full furnished. breakfast choices are little but quite good. staffs are nice. Last Mar. our family staying pent house floor. 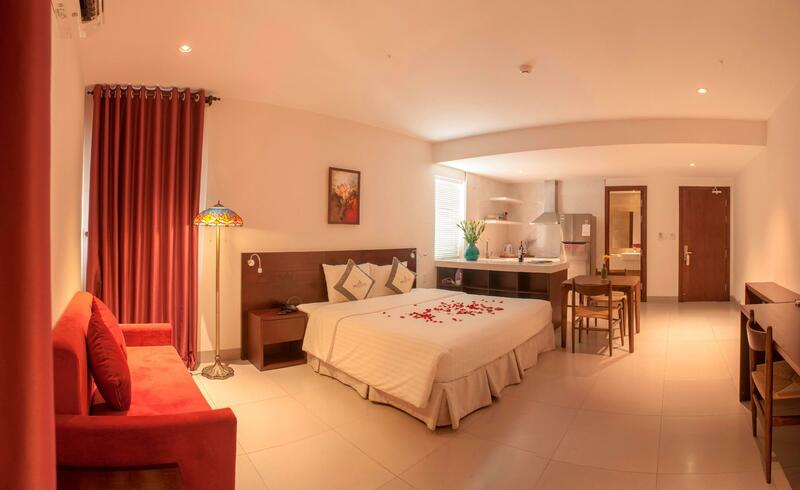 This room consist 2 bed rooms , 1 bath room and spa. It was quite big space to staying for 3 people. When we came back from travel we can sit down sofa or dining table have a family bonding time. Specially this travel was my mom's 60th Birthday aniversary. Sen boutique hotel provide to us beautiful cake. It was unfogettable memory to our family. Thank you so much. Staff are all friendly and helpful. Highly recommend this hotel. Thank you again. We stayed here for a short while in a small room, but it was perfectly comfortable (the bed was amazing compared to the foam mattresses we have had before) and very quiet. There is so much construction happening in Denang that the lack of noise must be rare. Staff were really helpful. The only thing I would improve is a slightly larger room, which is available and a slightly better breakfast. Would stay here again. This hotel was amazing. It was super clean, the place looks very cozy and nice and the breakfast is delish (many options everyday) :) However, what was best about this hotel is the staff! They always help you with everything you need and they try to make you feel at home (especially Jennie :)!). This was one of the best hotels i have visited so far. Not sure if it was due to the construction, but there was a strong sewage smell the moment we entered our room. The smell got stronger when we opened the bathroom door and we found stains in the toilet bowl. The staff at the hotel was kind enough to allow us to swap a room. However, the smell was still present in the 2nd room. We stayed in the apartment on the 6th floor. The room was huge and spotlessly clean. It was very comfortable in all ways except there was no view from the 3 windows. They all looked out onto the back of walls with aircons. The staff were helpful. Excellent value for money. The folks here were very friendly and helpful. Breakfast was good as well as location. They let me keep my bicycle inside as promised. I would for sure stay here again! I had a wonderful two days stay at sen boutique hotel. The hotel itself is brand new decorated and stylish( which tbh means there's some scent left as well). Really clean. Great location that 3 mins to the beach. Nice breakfast. But among all the staff is its most precious treasure. Always smiling and always willing to help. The girl at the reception desk(Thanks Thu!) even offered me a personal drive through her motorbike to the train station after she finished her work, to help me buy train tickets. Unforgettable memories. The hotel is located within a few minutes walk distance from the beach, and you can find restaurants both for tourists and locals, cafes, souvenir shops, and a supermarket in the neighborhood. The hotel staff are polite and helpful. The room we stayed is not spacious, but is very clean and comfortable with everything we need. One small drawback was bad drainage in the showerroom, but I'm sure they will fix it once they notice it. We would definitely come back if we'll have a chance to visit Da Nang again! Very friendly staff who wear a smile all the time. I took their tour (from their tour partner) and they are very helpful to plan some of the must-visit tourist spots to us. They also prepare for us their own hotel taxi to tour around the city. The only frustration is that the driver speaks little to no English. Some minor problems I get from the hotel is that the hot water in shower gets cold after few seconds and they are always out of towel. Also, the housekeeping will not replace you with a new towel until you requested for it. Other than these, the hotel is comfortable, the breakfast is nice and the lobby is a great place to relax and hang out. In general, the staff were very friendly and helpful, and the breakfast was really delicious, but the facilities were disappointing compared to the photos. Also, there is a bar across the street that blasts karaoke all evening until way past 11pm that could be heard from the 5th foor, where we stayed, and the staff could not do anything about it. This hotel is fabulous! Great service, clean, very nice breakfast and nice interiour. Very modern and new. The room is comfortable, a little bit too small but not a very big minus. The staff is so helpful, smiling and caring. It was our birthdays during our stay, we got a big birtdaycake delivered to our room - on their own initiative. Such a nice surprice. The beach is only one block away, and in walking distance from the hotel you can find some nice reataurants and bars. If you want a more personal, intimate hotel experience in Da Nang this will be the place for you! 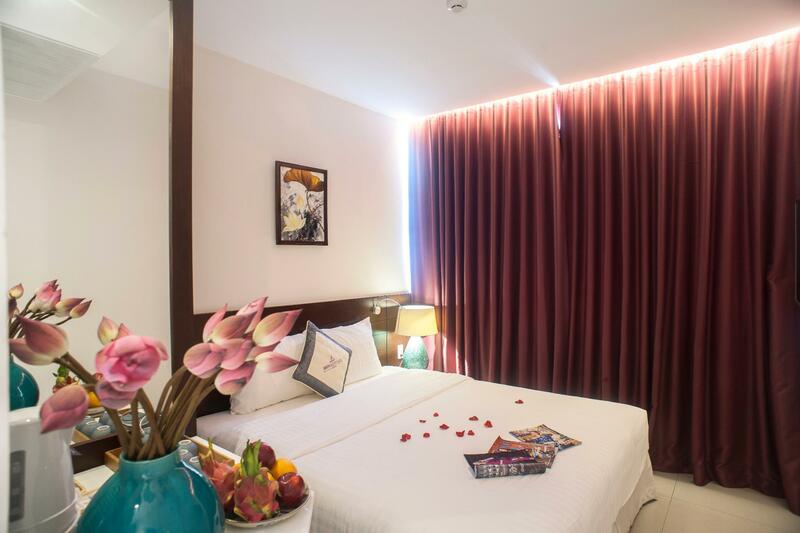 There are a LOT of huge hotels around and under construction so i guess these places will not give you the same lovely experience as Sen Boutique Hotel.